Dr. Jedidiah Cox has been practicing chiropractic 10 plus years. 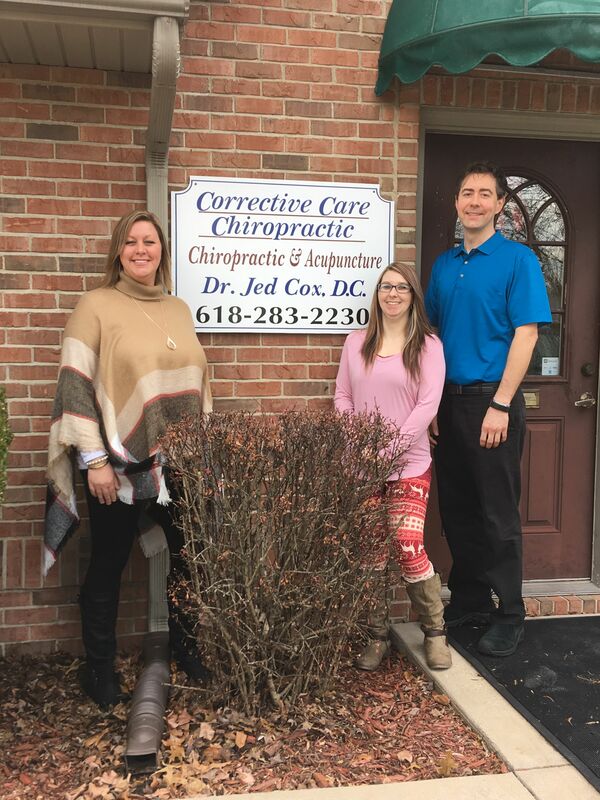 He has been the owner of Corrective Care Chiropractic and Acupunture since 2007. He is a National Board Certified Chiropractic Physician and graduate of Logan College of Chiropractic in Chesterfield, Missouri. Dr. Cox has been certified in acupuncture since 2005. Outside of work Dr. Cox likes to read, exercise, walk his dog, and play tennis. Dr. Cox was born and raised in Patoka, Il and now resides in Greenville, Il.